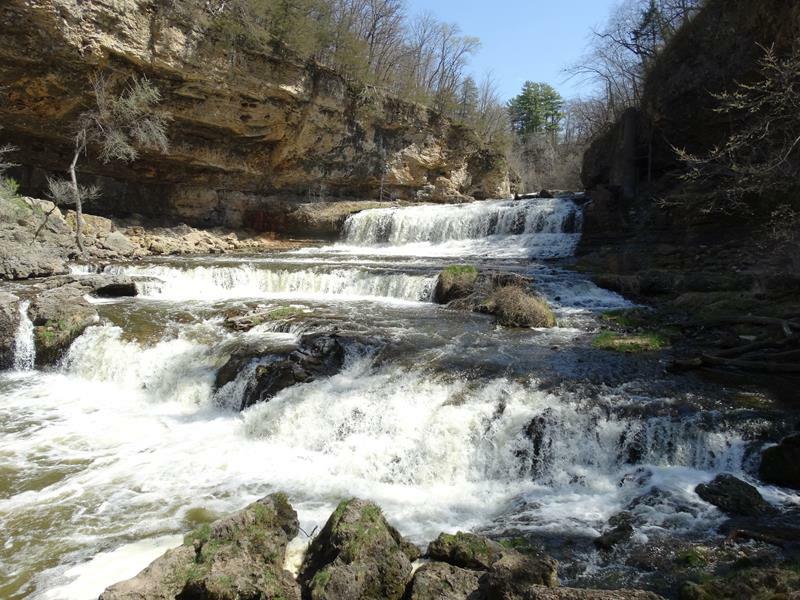 Following the Willow River and its beautiful valleys, Willow River State Park covers nearly 2,900 acres and offers terrific hiking, swimming, canoeing, camping, fishing, and more. 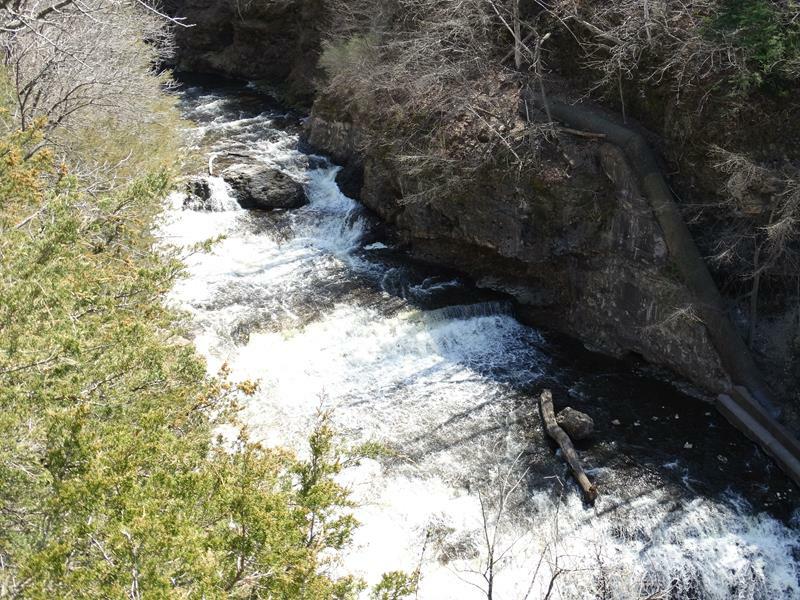 The surroundings include forest and prairie grasslands with the river cutting through it all on its way to the St. Croix. The park’s crowning glory is Willow Falls, a beautiful, cascading set of waterfalls in a rock- and tree-lined gorge nearly 200 feet deep. Trails bring you just above the falls and to the top of the rocks above; the views offer many angles, sounds, and sights. Willow Falls from 200 feet above. 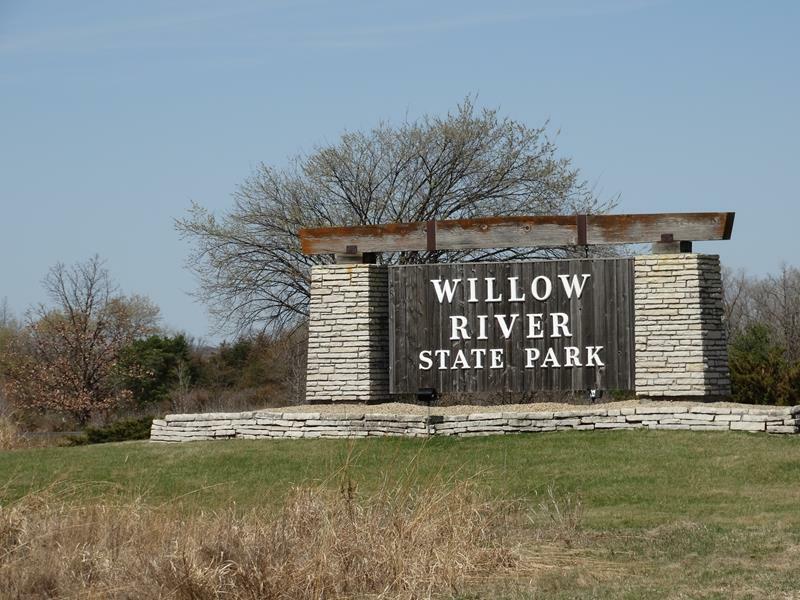 Willow River State Park is located just north of U.S. 12 along County A in St. Croix County, about 5 miles northeast of Hudson. I-94 is just to the south and Highway 35 is nearby to the west. 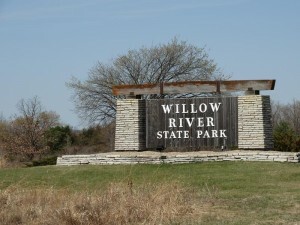 One Response to "Willow River State Park"
Love the pictures. My husband and I are taking a vacation to the northern half of Wisconsin May 21-29th 2016. Do you have any pretty back roads you would recommend, around Ashland County, St. Croix, Green Lake, or just anything along Lake Superior?